If you hate seeing animals neglected and lost, please spay or neuter your pets. Your pets are calmer and better behaved. Males lose the drive to urinate or spray indoors. Females lose the instinct to run away looking for attention. Reproductive organs may get cancer if your pets aren’t actively breeding. Males are less likely to fight and injure themselves. Females won’t get pregnant unexpectedly which can cause health problems. It’s better for all animals. 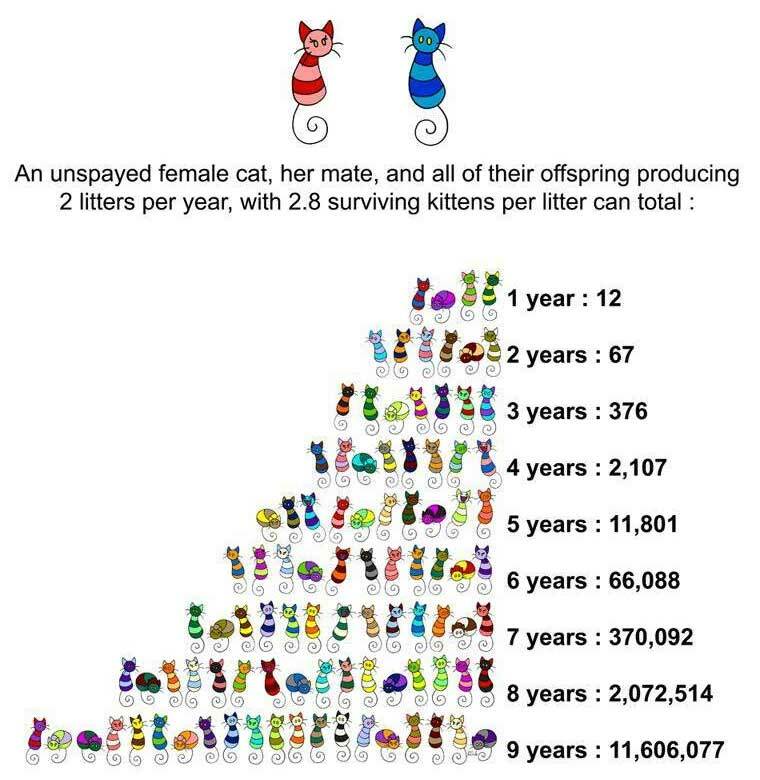 Spaying or neutering one pet will prevent up to 200 animals a year that could end up neglected or lost. More information on spaying and neutering can be found on the Humane Society of the United States website. Everybody loves puppies and kittens, but we have so many strays in this country that shelters can’t keep up with them. Strays suffer and often die of starvation or exposure. Please show how much you love animals by spaying or neutering your pets.